Emo onion would make emo a disease. The reason people cry when cutting onions is because when the cells of an onion are smashed they release an enzyme that when combined with water, like the water in your eyes, creates an acid. Thus making people cry. 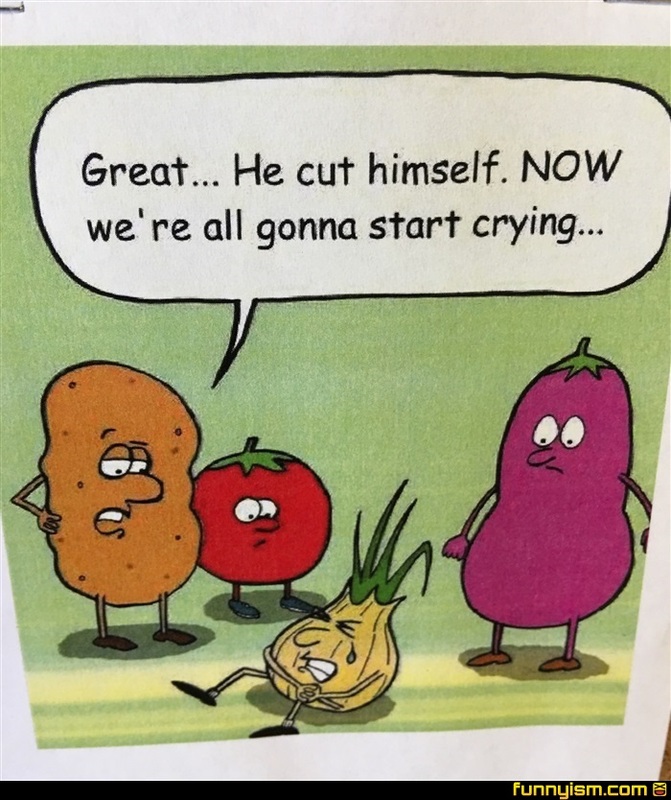 You can reduce the cell smashing by using really sharp knives or putting a lit candle directly next to the onion you are cutting since the enzymes are attracted to heat and will burn away. Shouldn't the emphasis has been on the 'all'? Not if you wear these handy dandy ONION GOGGLES! That's right, for only 6 low payments of 54.99 you will never have to feel the pain of onion aroma in your eyes again! Call now while supplies last!